Your 2015 Cloverdale Tournament Champions! 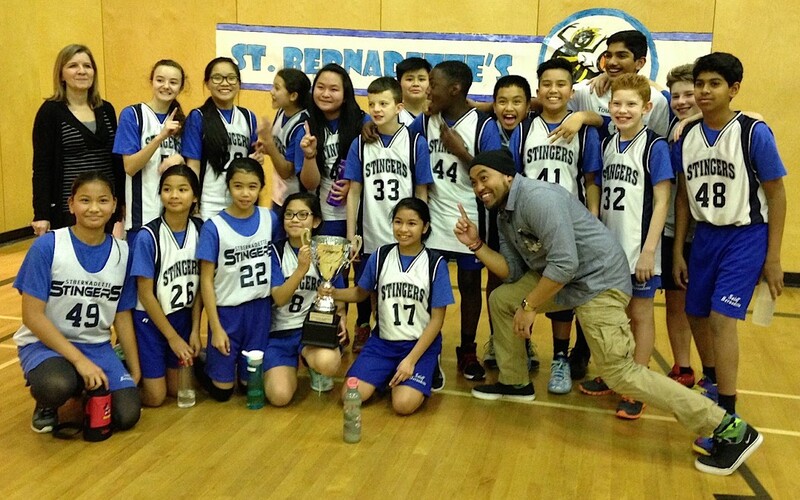 Cloverdale Catholic played hosts to a Grade 7 Basketball tournament on Friday and it was a good one! Unique format with the Co-Ed play where the boys and girls alternate line-ups every quarter. The squad which consisted of the Grade7 Boys, Grade7 Girls and Grade6 Girls really came together and competed on every possession. Congrats to the team as well for winning the shooting competition where the team got to enjoy a bucket of sour candies! Don’t worry the sugar paid off for that last game. Thanks to the parents who drove and watched a great day of competition! Big thanks to Ms. MacDonald and Mrs. Schollen for setting it up and we’re looking forward to the OLGC tourney at the end of the month. Remember, “They put their jerseys and shorts on the same way, the height of the hoop is the same, the ball will always be round ……….. the only difference is what’s in your heart and in your mind!” Go team go! 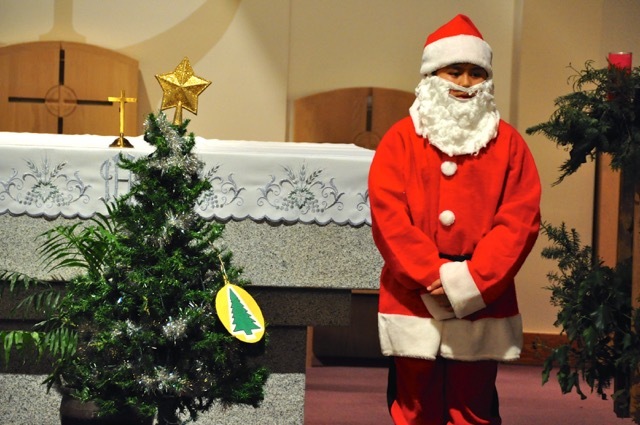 This year we celebrate the kids’ performance in the church. Something new and always a fun festive time of the year! Hello everyone ! We had the most amazing trip to Timberline Ranch this year. 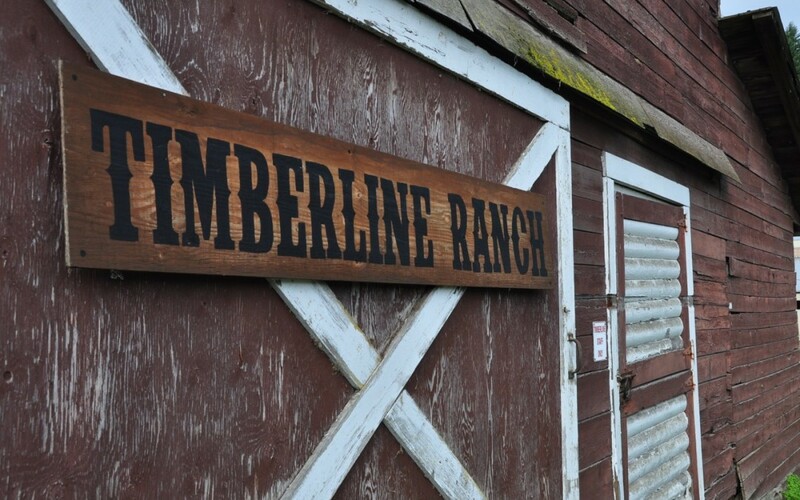 Our Grade Sevens with the support of our Timberline Team were able to participate in many exciting outdoor experiences such as a mountain hike, rock wall climbing, horseback riding, archery, and team building games. The students even built their own mini campfires. Skits and Cheers, hot dogs, and of course marshmallows were enjoyed by all. Father Paul and our Principal, Mr. van der Pauw joined us for Mass and lunch on Friday and Mr. van der Pauw remained for our Friday afternoon activities while the Grade Sevens worked on creating their own map models. This fantastic event would not have been possible without the support of our wonderful volunteers and parent drivers. Yes, you can still have fun in the rain. Many thanks to everyone !!!! !